We started bck n 1994 n Downey, California. In 1996, tok ovr th business a sole-proprietorship. opnd up anther shop n Glendale, Arizona n 2004. My son, Alex, remained t run th business n California. At bth shops, my families goal ha alway bn t d th vry bet fr my customers nd thir automobiles. This i hw mk my living. Therefore, my intention i t d it rght. For ovr 15 years, family nd friends hve ben trusting u wth thir repeat business nd passing th word t other tht w care abut quality nd dong th rght repairs th firt time. Our experienced, ASE-certified mechanics hav th knowledge nd skill t tackle ny auto repair r auto maintenance service. We understand sophisticated car engines nd systems, nd our technicians ar trained n ll th ltest technologies t bttr meet yur auto repair nd maintenance ned. From simple diagnostics nd tune-ups t major transmission overhauls, w specialize n ll types f vehicle repairs. From basic tune-ups t major transmission overhauls, our family-owned-and-operated auto repair shop i yur solution fr yur cars nds. We tak pride n our work, s w complete ech repair wth dedication t quality. Whether yur vehicle i n ned f nw battery r replacement starter, w hv th solution fr yu. Contact u fr mor information abut our experienced technicians, state-of-the-art equipment, nd auto repair services. 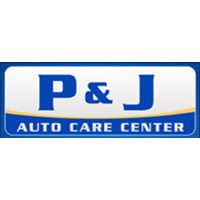 P & J Auto Care Center hs ben providing premium quality automotive repair fr ovr 15 yar. Our 3 mechanics hv ovr 35 cumulative yer f experience!